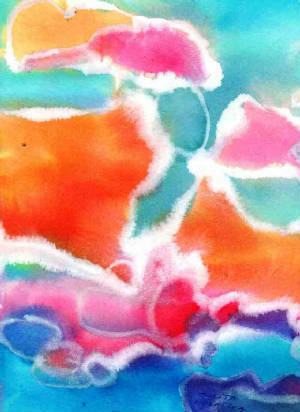 My paintings are colourful and vibrant, created in the energetic intuitive process. Lyrical abstraction, stories about relations between elements, portraits of the emotions and information bits, landscapes of the mind. 50 Toronto Artists You Should Know About! Paintings of Canadian dramatic landscapes, lyrical abstraction, expressionism, non objective art, contemporary artwork by Canadian artist Julita Sidonia Wolanska in watercolour and acrylic. Toronto Lyrical Abstract Art.